I am not a huge fan of red velvet cake. When I tell people that they freak out because I love to eat & bake sweets. 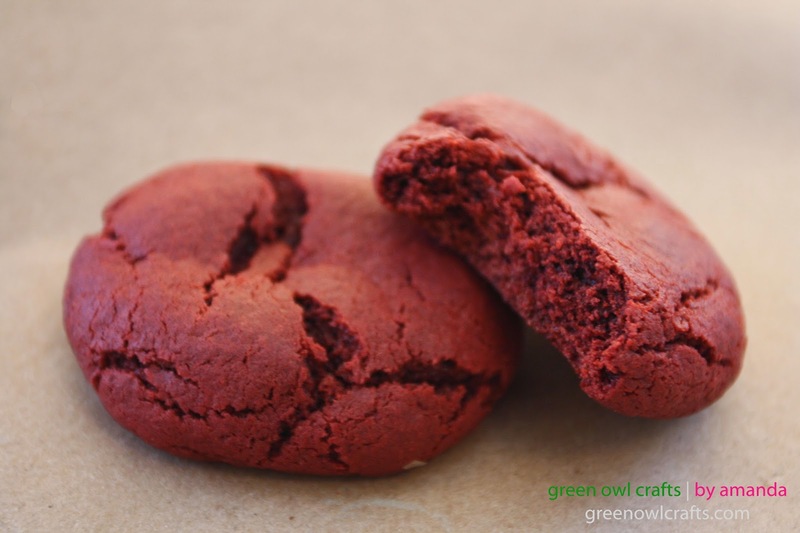 However, I am a fan of these red velvet cookies. They are absolutely amazing. 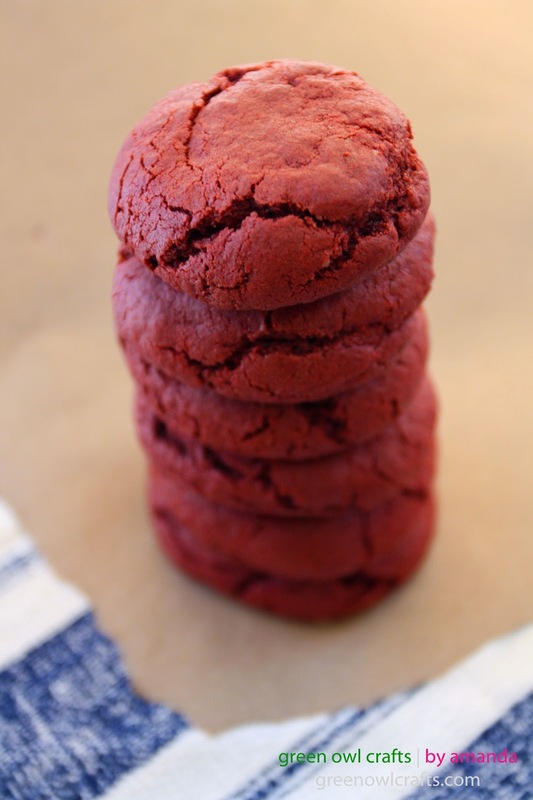 These would be perfect for a Valentine's Day treat or for cold winter days like today. Using a handheld or stand mixer beat the butter on high speed until creamy, about 1 minute. Scrape down the sides and the bottom of the bowl as needed. Switch the mixer to medium speed and beat in the brown sugar and granulated sugar until combined. Beat in the egg, milk, and vanilla extract, scraping down the sides and bottom of the bowl as needed. Once mixed, add the food coloring and beat until combined. Turn the mixer off and pour the dry ingredients into the wet ingredients. Turn the mixer on low and slowly beat until a very soft dough is formed. Beat in more food coloring if you'd like the dough to be redder. The dough will be sticky. Cover the dough tightly with aluminum foil or plastic wrap and chill for at least 1 hour. Chilling is mandatory. Preheat oven to 350F degrees. Line two large baking sheets with parchment paper. Set aside. Scoop 1.5 Tablespoons of dough and mold into a ball. Place 9 balls onto each baking sheet. Bake each batch for 10 minutes. The cookies may have only spread slightly, that is ok. Simply press down on the warm cookies if you'd like them spread out more. Allow to cool for at least 25 minutes.